As an Operations Manager your role has you continually gathering, evaluating, and analyzing data of all sorts. Your organization collects more information than ever before, from more sources and using myriad technologies, platforms, devices, and functions. Your daunting task is to make sense of it and to make timely, accurate decisions based on the most solid information you can extract from all the data. Operational analytics tools allow you to monitor and analyze your business operations to uncover opportunities to introduce efficiencies, identify and assess costs, increase revenues, and improve customer satisfaction. You have numerous options when selecting business intelligence and planning tools but most fall short of your needs for a quick to implement solution. Few are flexible or powerful without expert modification. Few give you real value. 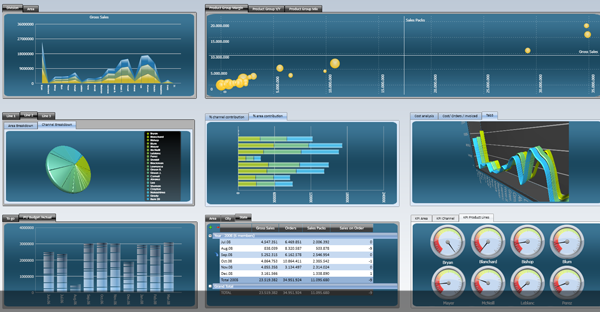 Neubrain delivers powerful, easy to use operational analytics tools with extensive self-service features. The tools are easily deployed and can be tailored to the needs of each organization. Our solution will serve all your operational needs, and includes key features and functions to support every business activity in your organization. Plan and set sales targets by collecting and analyzing data from multiple sources, apply forecasting models, integrate sales plans with marketing plans, and optimize your supply chain through account planning. 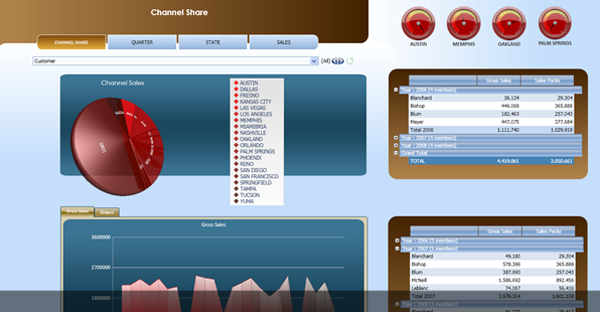 With dashboards and reports, provide your sales organization with an accurate visualization of sales performance and sales staff effectiveness. Monitor costs and revenues per customer, service contracts, and operations. Monitor project data, evaluate project costs, apply design-to-cost engineering methods, and monitor costs and schedules. Leverage what-if scenarios to evaluate options or possible risks. Monitor procurement processes, perform spend analyses, and perform strategic planning of your enterprise assets. Manage inventory, analyze warehouse activities, monitor and identify lost sales opportunities due to premature stock-outs. Our analytical models provide highly accurate predictions with just two weeks of sales history. Evaluate and improve order fulfillment using key performance indicators (KPIs) for transportation and order management, strategic performance measurements required for supply chain optimization, and operative performance measurements that capture the day-to-day information used for process optimization. Provide manufacturing analysis via interactive reports detailing production-related metric or perform analysis of the sensor data collected from devices in the field.